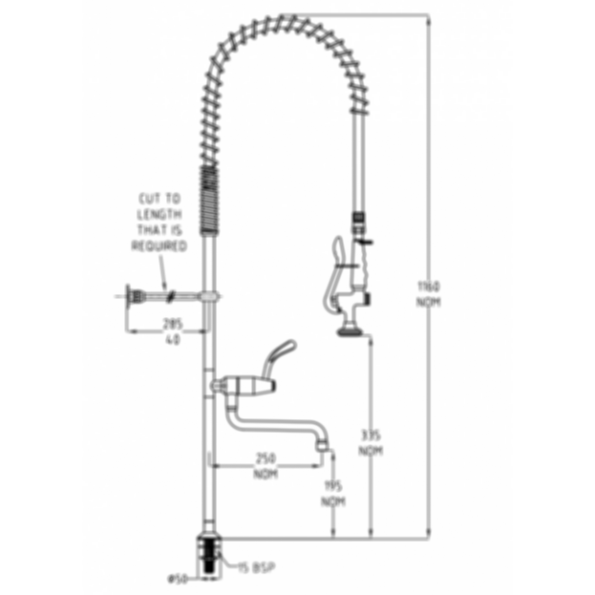 The TF80HJP Ezy-Wash® Pre-Rinse Food Service Tapware (Hob Mounted) by Galvin Engineering. 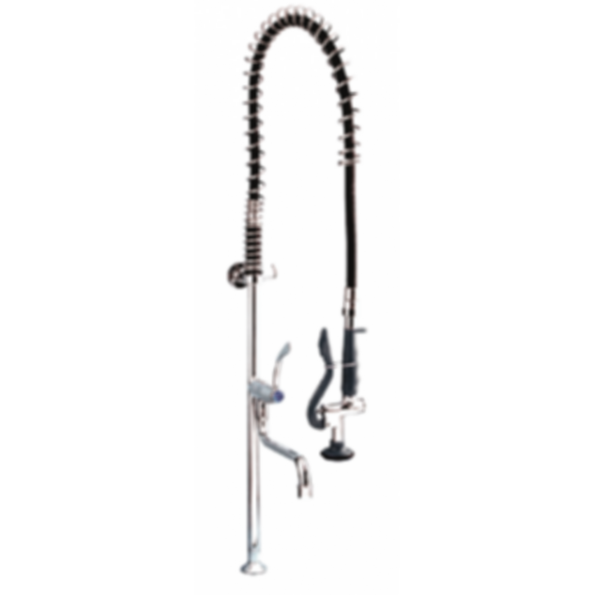 Chrome Plated Ezy-Wash® Hob Mounted No Stop Pre-Rinse Unit Type 80H, 15BSP MI Inlet with Pot Filler. -Heavy duty anti-vibration wall bracket. -Heavy duty high pressure hose. -Quarter turn jumper valve or ceramic discs. -Finished in bright chrome plate.